Skycore LLC has teamed up with Baltimore-based ticketing service provider MissionTix to pilot its new “codeREADr” Android app for validating NFC-enabled access credentials. 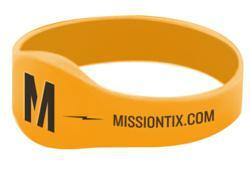 MissionTix will offer their venue clients reusable, rechargeable NFC wristbands that can be used to attend multiple ticketed events. Venue staff can read these wristbands by simply tapping them with an NFC-enabled Android 4.0 device equipped with Skycore’s codeREADr app. The app validates the data embedded in the wristband in real-time against an on-device or online database of authorized values, typically managed by a ticketing company or other service provider on behalf of the venue or merchant. According to Skycore, the data embedded on the wristband cannot be forged or rewritten, making codeREADr’s NFC solution secure for ticketing and stored value transactions.